Features: European Beech wood stained timber. Frame: Powder coated braced steel. 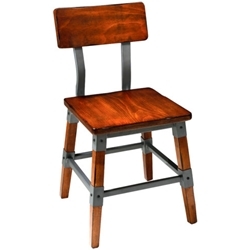 Matching Bar stool with and without back, Table frame and Dry Bar frame also available.